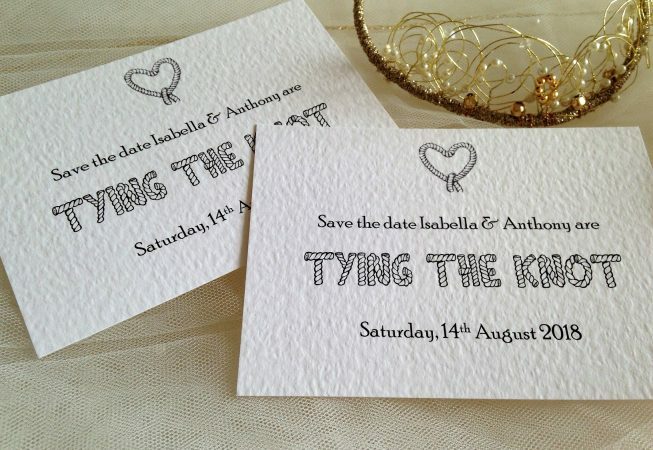 Send out Tying The Knot Save The Date Cards to announce your wedding. 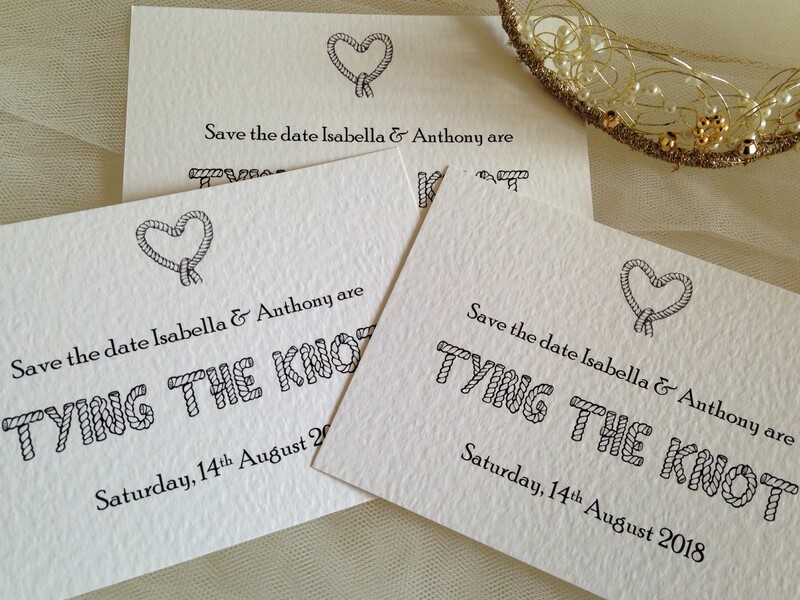 Tying The Knot Save The Date Cards are printed on a top quality thick heavy weight (270gsm) hammered card and are available in white or ivory coloured card. 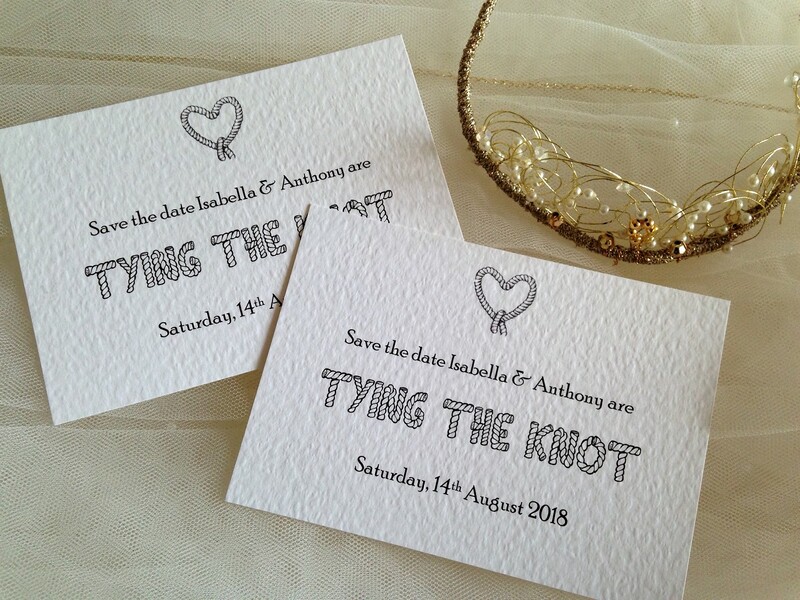 They feature an attractive rope heart and you can select your card colour and font style. 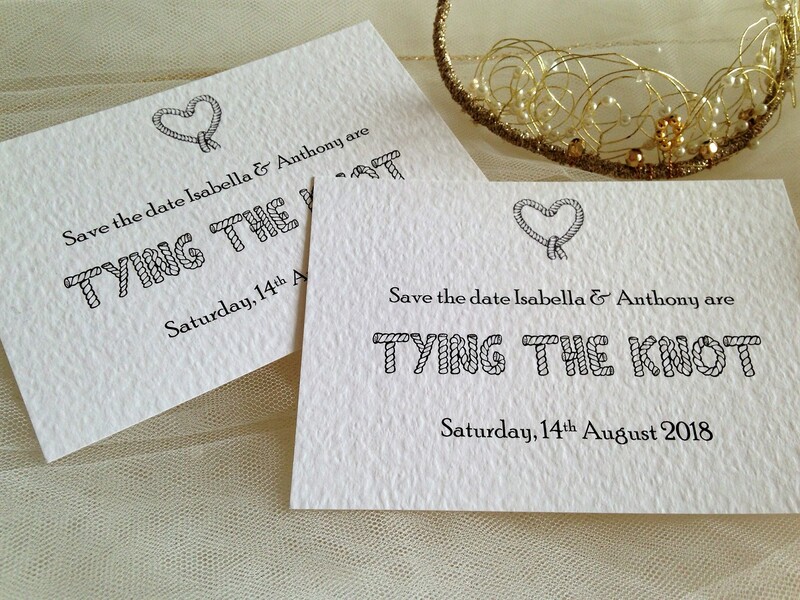 Mix and match fonts and colours to create your perfect Save The Date Card.